What Is Oppositional Defiant Disorder? 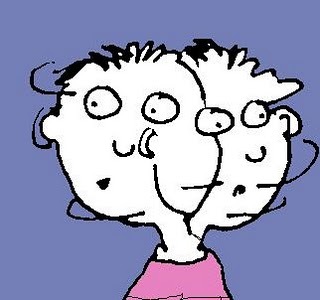 : Is there a connection between ADHD and Conduct Disorder? 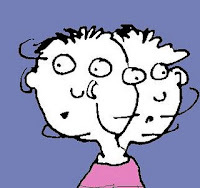 Is there a connection between ADHD and Conduct Disorder? Data collected in numerous studies indicates that about 50% of kids with ADHD will also develop Oppositional Defiant Disorder (ODD) or Conduct Disorder (CD) at some point during their development. An interesting finding has been that although "pure" ADHD (i.e., without either Oppositional Defiant Disorder or Conduct Disorder) is quite common in kids, the reverse is less likely. In other words, it appears that most kids under age 12 who meet criteria for Oppositional Defiant Disorder or Conduct Disorder will also be diagnosed with ADHD. In these cases, it appears that the impulsivity and over activity that is characteristic of ADHD kids, and the ensuing difficulties this creates in parent-child, teacher-child, and peer relationships, increases the risk for the kind of problematic interactions that promote the develop of these other disruptive behavior disorders. The long term outcomes of kids with pure ADHD - and with ADHD plus Conduct Disorder - are very different. For example, in one study in which samples that followed two samples of ADHD kids (one with high levels of aggressive behavior and the other without) there were no cases of drug or alcohol abuse at age 14 in the ADHD only group, while for the ADHD aggressive group, over 30% had engaged in substance abuse. In a similar study using different samples of kids, approximately 1/3 of ADHD/Conduct Disorder males had committed multiple crimes as teens compared to fewer than 4% of males who had been diagnosed with ADHD alone.